Lebanese national, PhD operations research, University of California, Los Angeles (UCLA), Bachelor of electrical engineering and computer science, University of California, Berkeley. 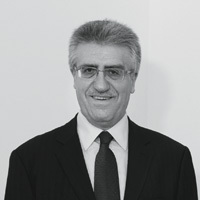 Chairman of the Board and General Manager since Solidere's inception in May 1994. 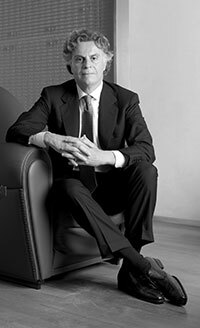 Since 2007: Chairman and CEO of Solidere International Limited, DIFC. SI's object is to identify, promote, purchase, invest in, develop, market and manage real estate projects in the Middle East and the Mediterranean Basin, by leveraging the brand name, know-how and established development processes of Solidere. Member of the board of trustees of Prince of Wales’ School of Traditional Arts, London. The School’s courses offer a comprehensive understanding of the philosophy and practical skills of craftsmanship at post-graduate level, leading to Masters and doctoral degrees validated by the University of Wales. Member of the Arab Business Council, affiliated with the World Economic Forum. 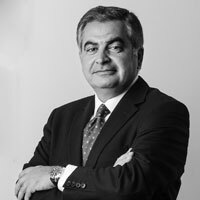 2001-2005: Chairman of the board of trustees and president of the executive committee for the Children Cancer Center of Lebanon, a Lebanese non-profit center he founded for the treatment of children afflicted with cancer, in affiliation with St. Jude Children Research Hospital, US. Order of the Cedar (Officer), 2004. 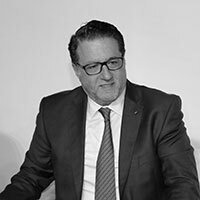 Head of the board of founding members of Solidere; head of operations and maintenance at Saudi Oger Ltd, a leading regional contracting, operations, maintenance and telecom provider operating in the Middle East, France and Africa; International Telecommunications Union, Bell Laboratories. Lebanese national, holds a Ph.D. in Economics from Wayne State University, Detroit, Michigan. Member of Solidere Board of Directors since July 2018. Chairman of the Board of Directors of Middle East Airport Services. Chairman of the Audit Committee and member of the Remuneration Committee at Cedrus Invest Bank. Board Member of MedSecurities Investment s.a.l. Economic Advisor to the late Prime Minister H.E. Rafik Hariri. Secretary General for the Higher Council for Privatization. Member of the Lebanese Parliament, 2005 - 2018. Lebanese national, graduate of McGill University School of Management, Montreal. Member of American Institute of Certified Public Accountants (AICPA). Member of Solidere Board of Directors since July 2012. Vice Chairman of VTB Capital International. Managing Director - Head of Emerging Market and Middle East Sales at Nomura and at Merrill Lynch. Head of Emerging Market and Middle East Sales at UBS Bank. At Pricewaterhouse Coopers, held various managerial positions roles in the US, France and Ukraine. Lebanese national, graduate of the American University of Beirut in Business Administration. Member of Solidere Board of Directors since July 2018. Member of the Remuneration and Audit Committees at Solidere. Deputy General Manager of Fidus SAL – SGBL Group. 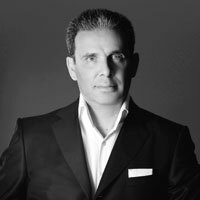 General Manager and board member of Fidus Investments Cyprus. Chairman and Board Member of various real estate development companies. Head of Capital Markets at Fidus SAL – SGBL Group. Head of Trading at Fidus SAL – SGBL Group. Managed and completed multiple real estate development projects in Lebanon. Lebanese national. 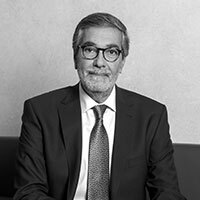 Member of Solidere Board of Directors since July 2018. Experienced in business transformation, financial and operational restrucutring, developing organizational growth and the creation of tangible value in challenging governmental and regulatory environments, as well as managing complex shareholders' relations. Certified in Corporate Governance from INSEAD. CEO of Zain Saudi Arabia. CEO and Board member of Mobinil (Orange Egypt). 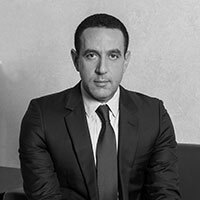 CEO of Orascom Telecom Algeria – “Djezzy”. CEO of Telecel International Holding. Lebanese national, MBA graduate of the International Business School, Paris and graduate in French Civilization Studies at the Sorbonne University. Member of Solidere Board of Directors since July 2018. Holds a broad portfolio of investments covering energy, telecom and technology. Vice President of a leading Lebanese sports club. Chief of Staff to Lebanese Prime Minister Saad Hariri. Chairman and Board Member of various technology companies, telecom operators and ISPs in Lebanon and the Middle East through a private equity firm. Founder of real estate firms focusing on large community development projects. Co-founder and chairman of various NGOs promoting entrepreneurship, leadership and youth. Lebanese national, graduate of the American University of Beirut in Business Administration and Economics. Member of Solidere Board of Directors since July 2012. Set up in 2003 Real estate and Financial Investments, Beirut, a consultancy office for high net worth individuals, developers and financial companies. Acted as investor in several of these projects in Lebanon and Europe. Local chief representative of the Republic National Bank of New York (now part of HSBC). Twenty years experience in hospitality business in Lebanon and France. Lebanese national. College degree: B.E. Civil Engineering, American University of Beirut (1973). Post graduate MBA courses in Université Saint Joseph Beirut (1985). Member of Solidere's Board of Directors since May 1994. Real Estate and Land Development since beginning of career (1973). Full owner and/or partner in several Real Estate and Contracting companies. Board Member of Zeitunay Bay. Founder and former Secretary General of Solidere (1992-2018). Former Co-Chairman of Beirut Waterfront Development SAL (Zeitunay Bay) (2007-2014). 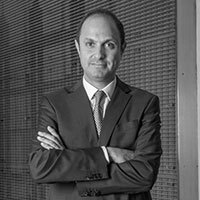 Lebanese national, holds a law degree from Saint Joseph University, Beirut and a Master (DESS) in Banking and Finance Law from the Sorbonne University (Paris1 Panthéon Sorbonne), Paris. Member of Solidere Board of Directors since July 2018. Board member GroupMed Insurance and Reinsurance Company s.a.l. 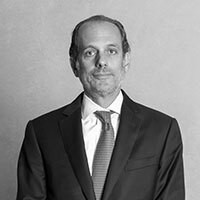 Hariri Group - Saudi Oger Ltd. Chief Legal Officer. Board member BankMed s.a.l. and BankMed (Suisse) SA. Senior Associate - Structured Financing - Gide Loyrette Nouel in Paris. Lebanese national, holds a Master’s degree in Management – major in Finance, from the University of Dauphine, Paris. Member of Solidere Board of Directors since July 2018. Deputy General Manager, Head of the Commercial Division - Retail, Corporate and Private Banking - SGBL. Group Financial Controller - Tactel Group. Senior Consultant - United Group Consultants.